Manchester United may want to take note of the latest transfer news regarding Chelsea forward Eden Hazard. The Belgium international is known to be a top target for Real Madrid at the moment as he edges ever closer towards the end of his contract at Chelsea, but has also been linked several times as an option for United. The Red Devils could certainly do with a replacement for Alexis Sanchez in attack, and it seems Hazard is now set to be made available for a pretty affordable fee. It’s being reported by the Telegraph that Chelsea have told suitors they’ll let the 28-year-old leave this summer if they receive an offer of £100million. That shouldn’t be out of United’s reach by any means, but they will of course have Real Madrid to contend with. Not only would Chelsea understandably prefer to sell their star player abroad, but Hazard himself is also known to have a dream of playing at the Bernabeu. “Real Madrid is the best club in the world. I don’t want to lie, it is my dream since I was a kid,” he said earlier this season. 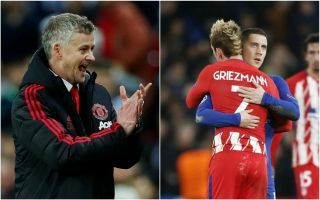 Still, United have a long-standing interest and could also have an advantage if they hire Zinedine Zidane as their next manager due to the pair having a huge mutual respect. Hazard has several times stated the Frenchman is his ‘idol’ and that he’d love to play under him, while the former Real Madrid boss also said Hazard is his favourite player after Cristiano Ronaldo and Lionel Messi.